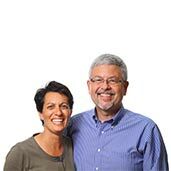 Stuart and Shereen have seen thousands open their hearts to God’s perfect love and receive spiritual, emotional, and physical healing in return. Their desire for this seminar is to present the deep facets of the Father’s love which frees and heals those who are brokenhearted. The essential intention is to pour the goodness of God into a person which brings healing and empowers the person to fulfill their God-given destiny. The seminar is free to attend, however registration is necessary to better help us prepare for the demand.